For years, video game makers have tried to develop ways to stream their shooters and adventure games so that players wouldn’t need powerful computers or the latest console to see realistic looking blood splatter on their screens. Players could avoid spending big money on new, expensive equipment while game makers would be able to reach more people. The problem, however, is that the technology for streaming high-end video games has fallen short. Latency, those infuriating delays people sometimes experience when watching Hulu, for example, is a constant problem that could get a player’s character killed in a game like Doom. Companies have tried to make a business in cloud gaming in the past, but their efforts so far have been futile. For instance, Silicon Valley game streaming startup OnLive, which Sony bought for an undisclosed price in 2015, ended up shuttering as it faced numerous managerial and technological challenges. However, the rise of cloud computing services offered from companies like Amazon (amzn) and Google (goog) has shown that technology has advanced enough to where businesses like Snapchat’s video messaging services can run entirely on someone else’s data center gear without many problems. 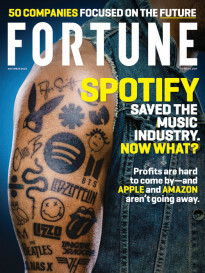 Additionally, companies like Netflix (nflx) have grown large enough to convince others that it may be possible to create a sustainable business model around streaming media services. For this reason, companies like Nvidia, Sony, and others are once again trying to make “cloud gaming” a reality. Still, as Fortune recently reported, some video game publishers like Take-Two Interactive and Nintendo worry that the technology isn’t good enough to deliver smooth and reliable games. Fortune tested some of the newest cloud gaming services to see how the technology has improved. 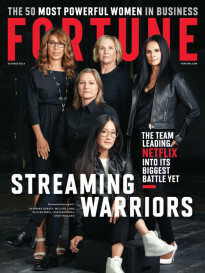 Several of these services are still experimenting with pricing, and some of the basic user designs can be confusing compared to more battle-tested video streaming services like Netflix. Here’s a rundown of some of those gaming services and how they compare when tested briefly using a standard home Internet connection and a barebones Lenovo Thinkpad work laptop with no graphics processing unit, or GPU. Think of Sony’s PlayStation Now streaming service as an online arcade that includes some of the company’s exclusive video game titles that originally debuted on its various PlayStation gaming consoles over the years. For $19.99 a month (or $100 annually), players can access a library of games, several of which date back to Sony’s PlayStation 2 console, which debuted in 2000. People can play the titles on PlayStation 4 gaming consoles or a personal computer that runs on Windows 10. Using a Sony Duel Shock controller, the same that’s necessary for Sony’s conventional gaming consoles, is required. Warning: Players should expect a short delay when they first click to play a certain video game title, as servers prep the game before streaming kicks in. But after that, older games like Mortal Kombat (from 2011) ran smoothly and were responsive to the controller’s actions. Nvidia’s GeForce NOW service is currently free to use because the company is still testing the service. When it first announced the service in 2017, the company was considering charging $25 to stream 20 hours of game playtime, which some people felt was too expensive. Unlike Sony’s streaming service, people must own the video games they want to play. The benefit of using Nvidia’s service, however, is that people can run their existing games using more powerful computers loaded with the company’s GPUs that are hosted in Nvidia’s data centers and stream to people’s Windows or Apple PCs. Players will need to link their existing Steam, Blizzard, or Ubisoft accounts that contain their purchased video games in order to play those games using Nvidia’s service. There were some minor hiccups when waiting for certain scenes to load when trying out the first-person shooter Dishonored, but once the actual gameplay commenced, we were able to run around and blast computer opponents without much trouble. The Shadow cloud gaming service by the French startup Blade is currently only available on certain areas of the East and West coasts of the U.S. and in France. The company said it plans to cover all states on both U.S. coasts sometime in fall plus Germany in early September. The service, which accesses computers in the company’s data centers that contain Nvidia’s graphics chips that ensure that the games can be played with the best visuals, costs $34.95 monthly. Unlike Sony or Nvidia, people can use the cloud gaming service for other tasks besides gaming, like video editing, because they can access an entire PC remotely and install their own software onto it as if they owned the physical machine it. Like Nvidia’s service, people will have to own the games they want to play using the service. The first-person action adventure game BioShock Infinite ran surprisingly well with the resolution cranked to the highest setting. Still, those visuals would likely look better if our test laptop was able to display high-resolution graphics, like a 4K television would. The Parsec cloud gaming service is similar in some ways to Shadow in that the basic premise is that people are able to rent access to a more powerful computer via the PCs they own. Whereas Shadow has built its own data center infrastructure, however, Parsec operates on Amazon Web Services. Like Shadow, Parsec Nvidia’s GPUs to deliver compelling graphics albeit those GPUs are offered via AWS. It should be noted that unlike Sony and Nvidia, it’s more difficult getting Shadow and Parsec to run on a laptop, with the process involving a number of steps. That shouldn’t come as a surprise, however, as these are much smaller companies that appear to be still working out the basic user interface of their products. Added additional detail on Blade Shadow’s coverage area.